It seems like only a short while ago since I was I kicking off this year’s Holiday Countdown. 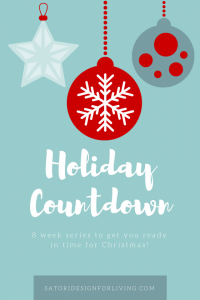 Now, here we are in the final week, and I can’t wait to see what you’ve been doing to get ready for Christmas! 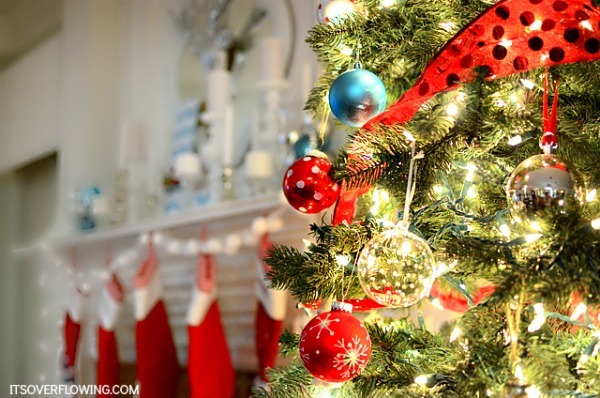 I’m thrilled to be co-hosting this “All Things Christmas” holiday link party with Aimee from It’s Overflowing! 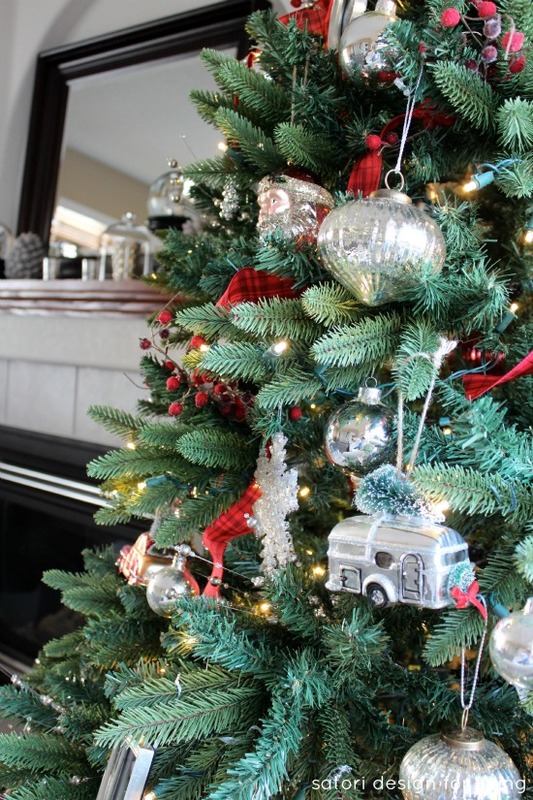 Before you share your projects below, take a look at Aimee’s Christmas tree all decked out in red, white and aqua. It’s so gorgeous! To tell you the truth, I almost ended up doing the same color scheme without even knowing it. At the last minute, I nixed the aqua! Here’s our red, white and silver tree in case you missed it yesterday. (And, no, we did not plan our photos to be from the same angle. It’s funny when those things happen!) I really need to get around to hanging our stockings, too! Link up your own Christmas Projects, old and new! Decorating, food, gifts, crafts, anything goes! Please include a backlink to this post, and be sure to take a look around and show some blog love. No posts to link parties or items for sale please (those links will be deleted). By linking up, you are giving us permission to possibly share your project in an upcoming features post. P.S. You can still link your projects up at our Handmade Gifts and Gift Wrap party, as well as the Holiday Recipes party! I’m featuring my favorites from all 3 parties on December 23, so check back! As well, tomorrow you can get your printable and to-do list for the final days of this year’s Holiday Countdown. Thanks for the party Shauna! It’s looking like a great party Shauna, so many wonderful Christmas projects – thanks for hosting and Happy Holidays! Great link party – love so many of these projects. Thanks for hosting!